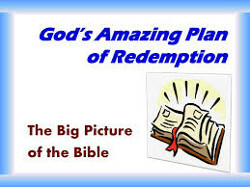 WELCOME TO PRIME LIFE MINISTRIES: Bible Books Of Genesis And Revelation Compared. God created Light (so there was light and darkness). The Light is no longer needed because the Glory of God gives the light. Sin enters the human race. People run and hide from God. People are invited to live with God forever. Tears are shed, with sorrow for sin. No more sin, mo more tears or sorrow. The garden and earth are cursed. God's city is glorified, the earth is made new. The fruit from the Tree Of Life is not to be eaten. God's people may eat from the Tree Of Life. People are doomed to death. Death is defeated, believers live forever with God. We are in the End Times and the return of Jesus is imminent. For this reason, we believe that it is very important for you to have a clear understanding of all of the above. To gain this understanding, we recommend that you read Genesis Chapters 1, 2 & 3 and the entire Book of Revelation. We would also recommend that you read the Bible in a version that is easy for you to read, understand and assimilate. Examples: New International Version (NIV); New American Standard (NASB); The Living Bible (TLB); New Century Version (NCV); New Living Translation (NLT).